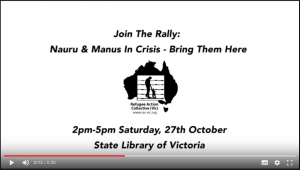 On the one year anniversary of the Manus Siege join a protest calling for the offshore camps to be close and the refugees brought here. Refugees on Manus were given the deadline of October 26, 2017 to move out of their prison into a new prison. Heroically they refused. Food was then cut off, and electricity and water were cut on October 31. After three weeks of refugees’ fearless defiance, the 23-day government siege on Manus Island was brutally ended on Friday 24 November. One year on Manus is still not closed, and the refugees are still prisoners without adequate housing, food, medical care, or safety. Their struggle for freedom has not stopped. 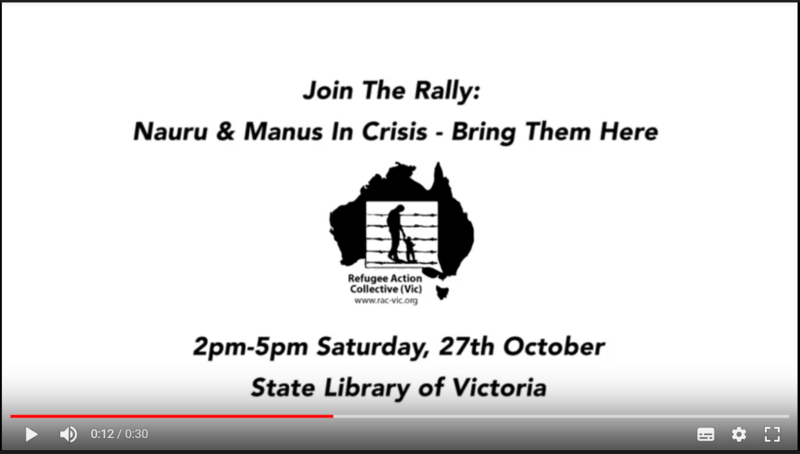 Join us as we lay siege to the Turnbull government in solidarity with the refugees on Manus, Nauru, Christmas Island and all Australian detention centres, to demand their freedom. We call on Immigration Minister Peter Dutton to immediately release Huyen from MITA detention centre and grant her permanent protection to avoid another indefinite family separation. Refugee families belong together.